WCAF will have a very special guest at our Sunday, December 7 meeting: CMU Professor Isabella Kasselstrand, Ph.D. will join us at 3:00 p.m. Sunday at the Laughing Dog Coffee House, 413 Monument Road. Dr. Kasselstrand is an Assistant Professor of Sociology at Colorado Mesa University. 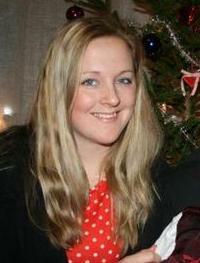 In 2013, she completed her Ph.D. at the University of Edinburgh, Scotland, with a dissertation entitled “‘Tell the Minister Not to Talk About God:’ A Comparative Study of Secularization in Protestant Europe.” Her research focuses primarily on patterns and experiences of religious decline and remaining functions of churches in secularizing societies. At CMU, she teaches courses on Global Sociology, Social Inequality, Research Methods, Sociological Inquiry, Social Problems, and General Sociology. Dr. Kasselstrand will talk informally about a chapter she is writing for a book that Phil Zuckerman is editing called “Beyond Religion” that is being published late 2015. This project is still in the earlier stages, and Dr. Kasselstrand is writing a chapter called “Lived Secularity: Atheism, Indifference, and the Social Significance of Religion.” It will be a very informal discussion, and Dr. Kasselstrand says she would love to hear everyone’s else’s thoughts on the topic. Please join us for this exciting opportunity to talk with Dr. Kasselstrand!